“Take a moment…in the midst of your fretting over a fussy baby, your nerves of standing in front of the congregation, your worry about family dynamics and the meal after the service, in the midst of all the details of this baptism…take a moment and listen for the voice of God saying, ‘This is my child, my beloved, in whom I am well pleased.’” This is an invitation for parents to pause and breathe in the significance of the journey upon which they are about to embark. It echoes the familiar words from Christ’s own baptism that are a clear reminder that each of us, little one or adult, is a beloved child of God. Heard or not heard, the presence of God is palpable when we gather around the font and witness to the extravagant grace of an all-loving God. Even as members of a congregation look on with smiles and eagerness, they bring misconceptions about this sacrament, especially in regards to infant baptism. Some will think it is the moment of salvation or the moment when the person becomes a child of God. Others will worry that the child has not “made a decision to follow Christ” and will wonder about his or her eternal destiny. Still, others will view it as simply a ritual done to make parents and grandparents happy or as a sort of insurance policy in case something goes horribly wrong in the future. All of these are inconsistent with Reformed theology’s understanding of the sacrament of baptism. The responsibility for these misunderstandings falls squarely on our own shoulders as pastors and educators. As more and more people come to Reformed Presbyterian congregations from other denominations, new members bring with them the theological nuances of those previous faith traditions or have appropriated culture’s messages about what happens at the font and its implications for the future. Too often we have provided the barest minimum of teaching on the meaning and commitments made in this transformational sacrament that reaches far beyond any single moment in worship. In baptism, the One who created the universe, who fashioned the creatures who swim in the waters, frolic over the land, and glide through the air, and who breathed life into the first human calls us by name. This sacrament of water and promise is a resounding declaration of Psalm 139 (NRSV): “For it was you who formed my inward parts; you knit me together in my mother’s womb. I praise you, for I am fearfully and wonderfully made. Wonderful are your works; that I know very well.” This intimate knowledge is a reminder of our Constant Companion throughout the Christian life. Just as God knows us even before we begin, so too we are marked as Christ’s own. The Epistles are replete with the connection between Christ and his followers. Early in Romans (6:4 NRSV), Paul announces, “Therefore we have been buried with him by baptism into death, so that, just as Christ was raised from the dead by the glory of the Father, so we too might walk in newness of life.” The audacity of the claims in Romans and Galatians is that we are God’s children, and “if children, then heirs, heirs of God and joint heirs with Christ…heirs of the covenant promise” (Romans 8:17 NRSV). Baptism proclaims: in Christ, our sins are forgiven and we are made new—free to live our lives in ways that honor this precious and gracious gift we have been given. With parents and child, adult and minister, congregation and Holy Spirit gathered around the font, vows are taken and promises are made for intentional and communal living. 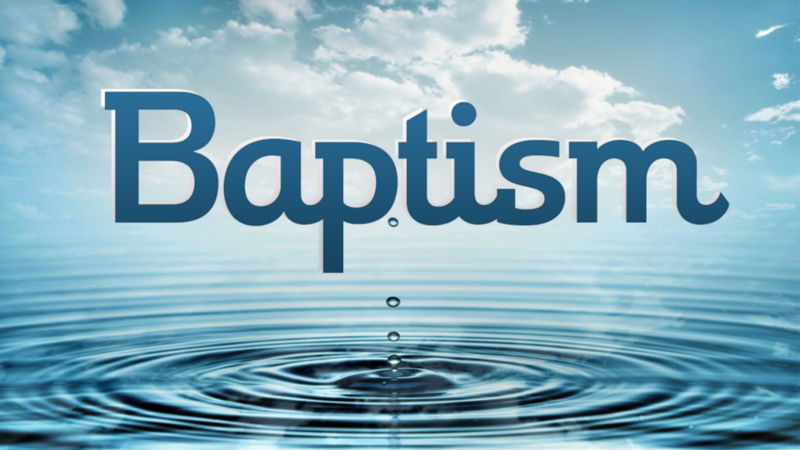 Calvin’s conviction is that in baptism we are engrafted into the body of Christ. We are not baptized into a single congregation nor are the vows limited to a particular church, rather the promises we make are on behalf of the church universal and honored by all who claim the name of Christ. While baptism is only administered once—because it is the work of God and thus sufficient beyond any human boundary or experience—it is not a “one and done” occasion. Baptism is the inauguration of our Christian life. Fresh with the waters of the font we are commissioned into a life of discipleship. We learn the ways of Christ and grow in our imitation of his life. We worship, study, serve, love our neighbor in grateful response to God’s love. As baptized children of God, we are called to live in ways that are distinct from the ways of the world. Galatians 3:26 reminds us, “for in Christ Jesus you are all children of God through faith. As many of you as were baptized into Christ have clothed yourselves with Christ. There is no longer Jew or Greek, there is no longer slave or free, there is no longer male and female; for all of you are one in Christ Jesus.” In a world marked by divisions and strife, baptism offers us a vision and a way of seeing and relating to one another as Christ does. Baptism is the sign and seal of our union with Christ from birth to death. Romans reassures us with the reminder that just as we share in his baptism and his death so too we share in his resurrection. What comforting words to accompany the physical reminder that from baptism to the church triumphant we belong to God—“in life and in death we belong to God”. Alleluia, Amen. Rebecca Davis is associate professor of Christian education at Union Presbyterian Seminary, serving on the Charlotte Campus. She is a Teaching Elder and a Certified Educator; she was named 2018 Educator of the Year by the Association of Presbyterian Church Educators.